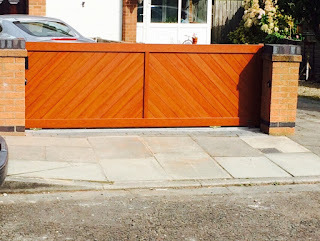 We do gates! This isn't necessarily news--we've been doing gates for a number of years--but our name might not make it completely obvious. Sure, a gate could be considered a door, but we digress. 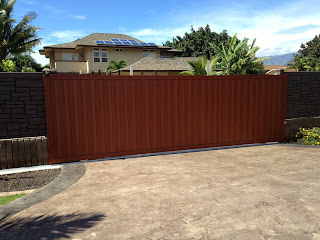 In addition to our residential and commercial door expertise, we've been installing and maintaining gates and gate operators for Maui's residents and businesses for a long time. 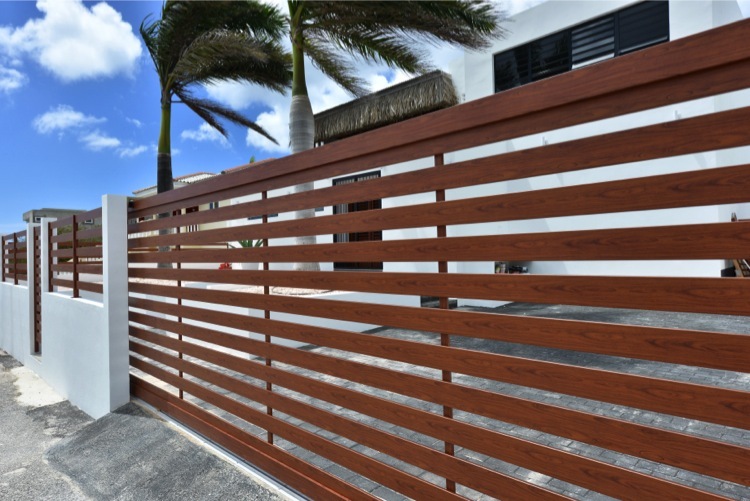 This month we're thrilled to be discussing gates, not only because we're excited to be your on-island solution, but also because we've discovered a beautifully crafted, durable aluminum gate that looks amazingly like wood. Much like finding a garage door that stands up to our sunshine, wind, and salty air can be a challenge, a similar issue exists for gates. 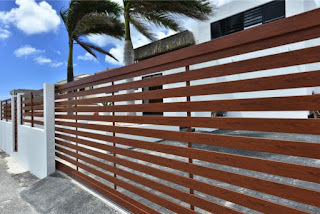 Knotwood Gates has created an aluminum gate that is finished in a durable powdercoat, and through a process called sublimation, they're able to offer a huge range of wood grain finishes (over 26). If a wood grain finish isn't appropriate for your home, solid colors are also available. We're proud to offer Knotwood Gates because they stand behind their workmanship with a 15-year warranty. In addition to providing a quality product, being environmentally conscious is also extremely important to us both as a company and as individuals. Knotwood Gates' marine-grade aluminum is non-toxic, non-polluting, and 100% recyclable. And in their manufacture, they maintain a low carbon footprint and have no VOC emissions. This is an addition to your home that allow you to feel good and complement your home in exceptional design. 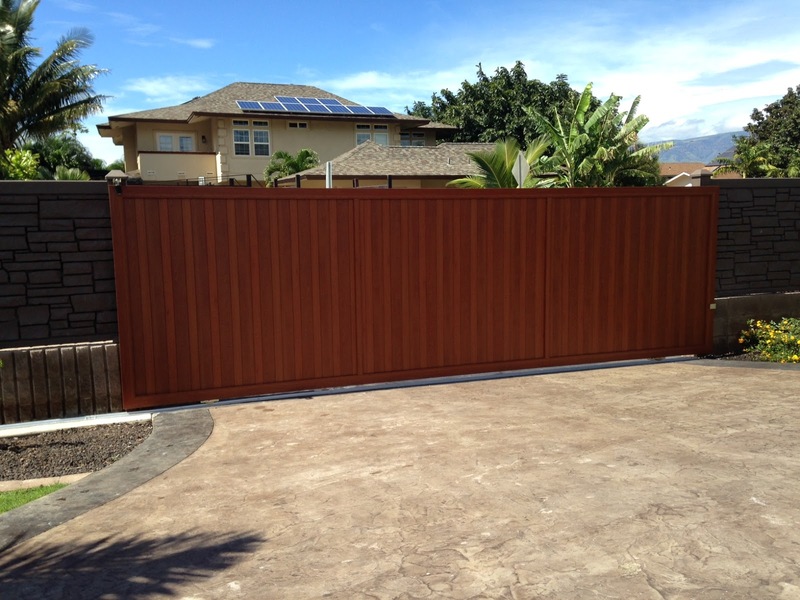 For the month of March, we're excited to offer 5% off any gate special order when you use the promo code "KNOTWOOD." Call 871-8888 for your free estimate and to get more information on this great product. Or just call to talk story - we love hearing from you!